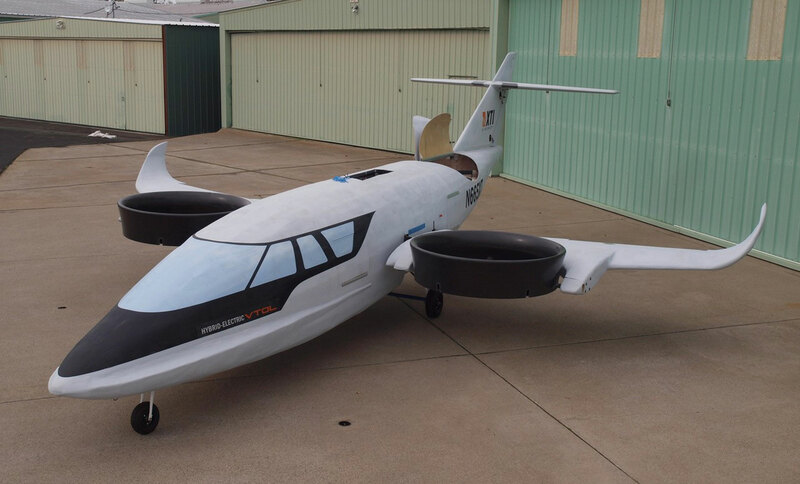 XTI Aircraft expects to receive new electric motors for its 65-percent-scale, proof-of-concept (POC) TriFan 600 within seven days and is “targeting first flight soon after,” according to Robert LaBelle, CEO of the Denver-based company. The $6.5 million, six-seat hybrid-electric VTOL is expected to enter production in early 2023. The company has logged more sales over the past year, with some 76 TriFan 600s now on order. “The new orders come at an excellent time because this solidifies our budget and improves our revenue projections as we head into the initial flight tests for our POC aircraft. The total number of orders represents $494 million in gross revenues upon delivery of the aircraft,” LaBelle said. Enhanced changes made recently to the design include those to the propulsion system, moving the horizontal stabilizer to a T-tail configuration, and adding winglets and trailing-edge flaps, XTI v-p of global business development Saleem Zaheer told AIN. He confirmed the POC prototype is undergoing ground and systems tests and should commence flight tests in a few weeks. The TriFan 600 will have the speed, range, and comfort of a business turboprop while having the ability to takeoff and land vertically, XTI said. Range at 300 knots is expected to be up to 1,200 miles.